Remember the golden dollar? Most adults do… They were released in 2000 with much media hype and a hope that they could spark a new monetary revolution in which everybody would be trading in their raggedy dollar bills for shiny new dollar coins. Yet, the year 2000 came and went, and years later we're still using dollar coins – and most people have seemed to forget about those golden dollar coins. What happened? It's a long story, but I'll try to make it as condensed – and entertaining – as possible. In the late 1990s, there was a push to save the government (that is, you, the American taxpayer) money by replacing dollar bills, which cost about 4 cents to produce and last 18 months on average) with dollar coins that take around 12 cents to strike but also last 30 years – or around 15 times longer than the typical dollar bill. The math made sense…. Replacing dollar bills with dollar coins was supposed to save American taxpayers hundreds of millions of dollars over the course of 30 years. With that, the United States Dollar Coin Act of 1997 was passed, and the depiction of a young Shoshone Native American named Sacagawea – her infant son, Jean Baptiste Charbonneau, swaddled to her back – was chosen as the anchoring feature for the new coin. The golden color, which is really a copper-based alloy with small amounts of zinc, manganese, and nickel mixed in, was supposed to make the coin distinctive in appearance from the rest of the silver-colored (since 1965, copper-nickel clad) coins floating around in circulation. The Sacagawea golden dollar was released in early 2000, and the media swarmed in on the new coin. Major retailers across the country offered to take the new coin in with cash transactions, and they – along with mass transit authorities, vending machines, and other places – gave golden dollars in change. But most folks in the public didn't see the golden dollar coins as a spendable dollar coin. They saw it as a unique novelty – something to be kept, perhaps worth much more than a dollar. Some mistakenly thought the coins were really made from gold! Meanwhile, they loved spending dollar bills. Foldable, lightweight – comfortable for creatures of habit like many Americans surely are. Americans spoke loudly and clearly through their spending and collecting habits. Most preferred to keep the dollar coins and spend their dollar bills. And, with the dollar bill still being made and widely available that choice was easy to make. Production of the dollar coin slowly waned – by 2002, the coin was being made only for collectors. The last Sacagawea dollar coins were made in 2008. In 2009, they were replaced by the Native American dollar, which is a series of golden dollars that showcase important individuals, events, and other occurrences important to various Native American tribes. Meanwhile, the Presidential $1 coin, a program that was supposed to enthuse Americans into spending (and collecting!) dollar coins, hit the scene with relatively little engagement from the general public after the first year of the program in 2007. 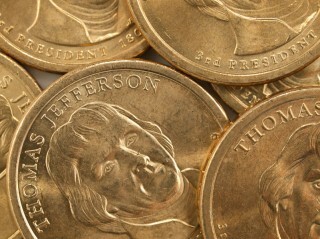 By 2012, all dollar coins in production were being made only for collectors. 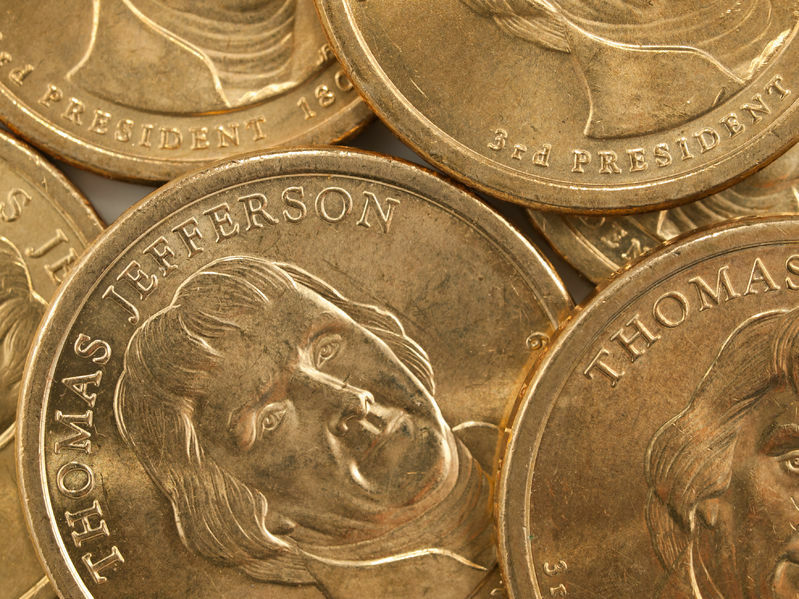 Thus marked the end of yet another small dollar coin program – the first being the Susan B. Anthony dollars made from 1979 through 1981 (and once more in 1999) – that launched with mass excitement yet, unfortunately, little long-term engagement from the public. Will a dollar coin ever again circulate in the general channels of United States commerce? Only time, and perhaps the removal of the dollar bill from circulation, will tell.